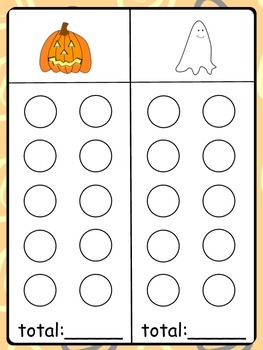 I made this to reproduce the homemade halloween game I made to play with my son. 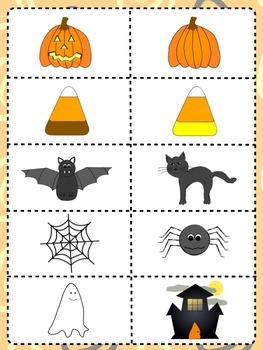 When you search through your collection of halloween stickers you can pick TWO stickers and place one of each on each side of a coin. 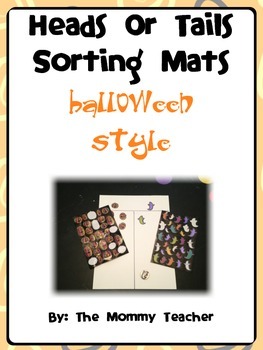 Then, use the images I have provided to place the corresponding halloween graphics on either side of the sorting mat (or use one of the ones I have provided). My son and I played heads (jack-0-lantern) and tails (ghosts). Then, each student playing the game will get stickers, their own sorting mat with the images of their stickers at the top, and the coin with the images on either side of the coin. When they flip the coin they will put the matching sticker under that graphic on the chart. 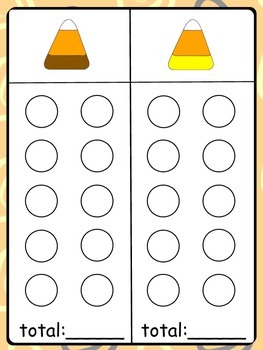 The first one to fill one side of their chart "wins" and then they can write the total number and compare charts. This is a great sorting game and a great math game to compare quantities and explore with statistics of flipping a coin.